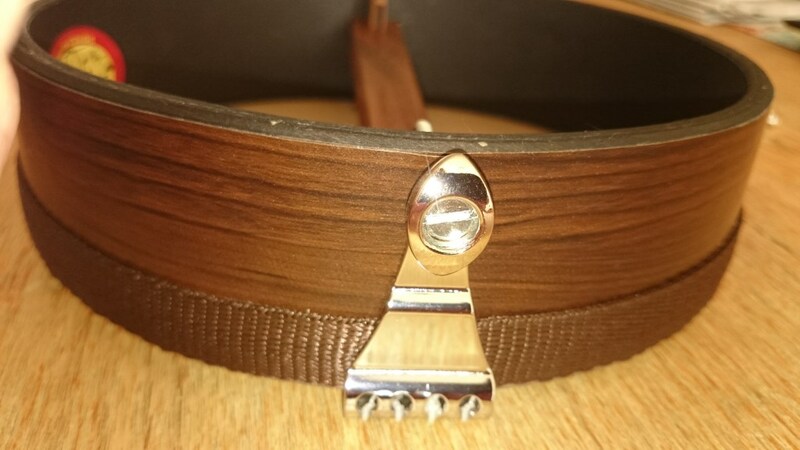 sometimes a strap comes in handy – but on the original firefly there’s hardly any good mounting point to attach a strap. big banjoleles come with lots of possibilities, just the firefly lacks one. 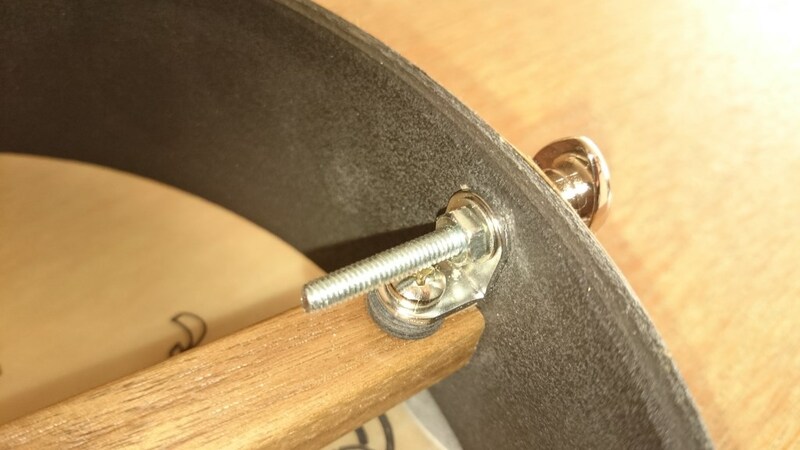 and i do not consider fiddling some shoelace through the tailpiece a good solution, not even a workaround. 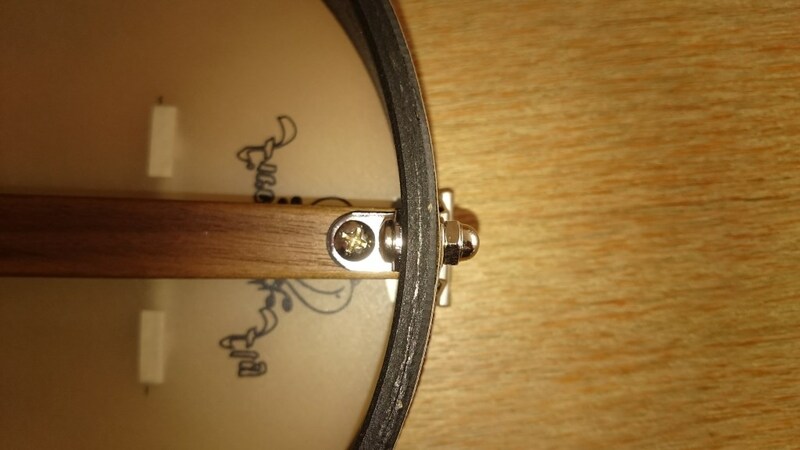 depending on your strap button you might need a longer screw with the same diameter. 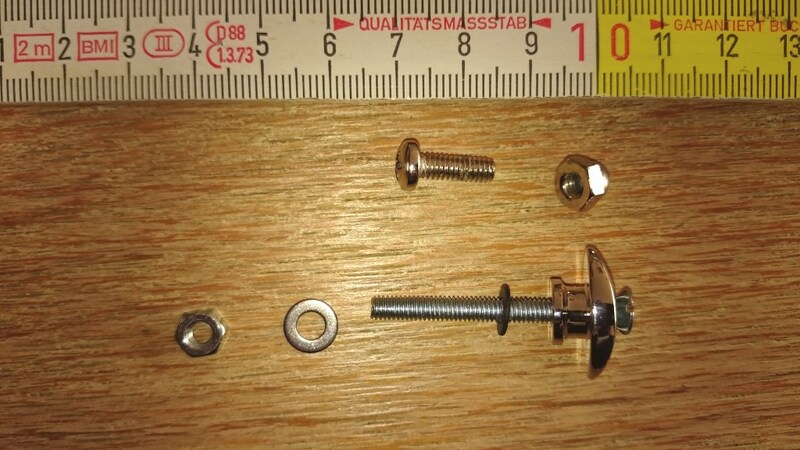 i only had a m4x40mm with matching nut and washer at hand, but a 25mm would have been sufficient. 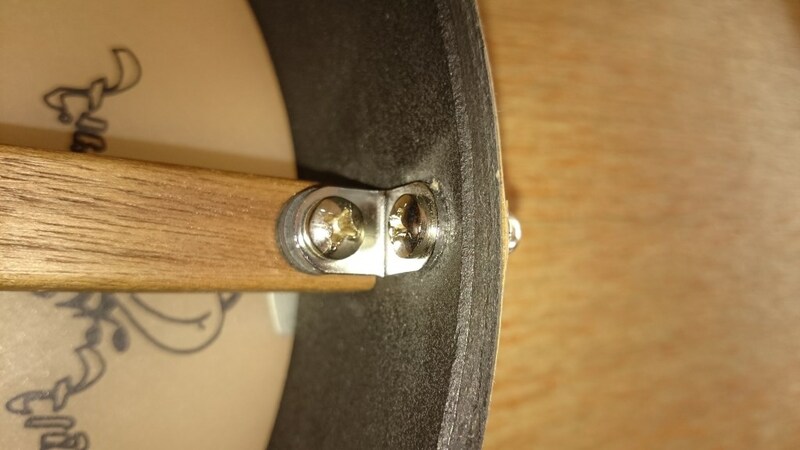 the original cap nut did not fit my german m4 screw btw. 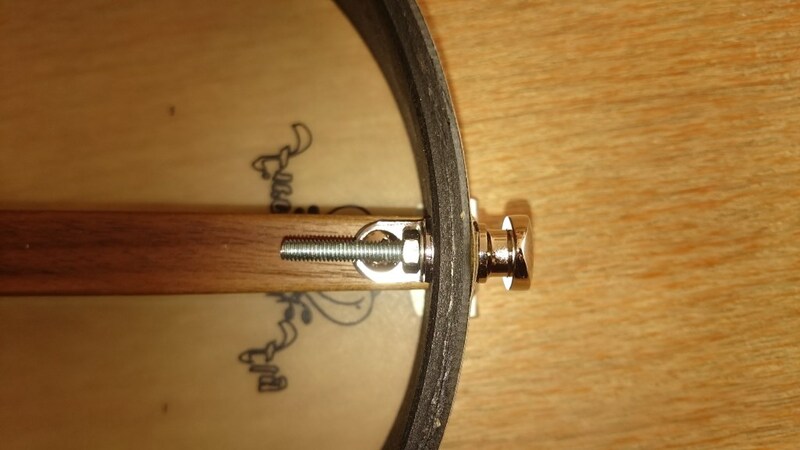 mount the button – this time the screw goes from outside to inside of the rim, the nut secures it from the inside. 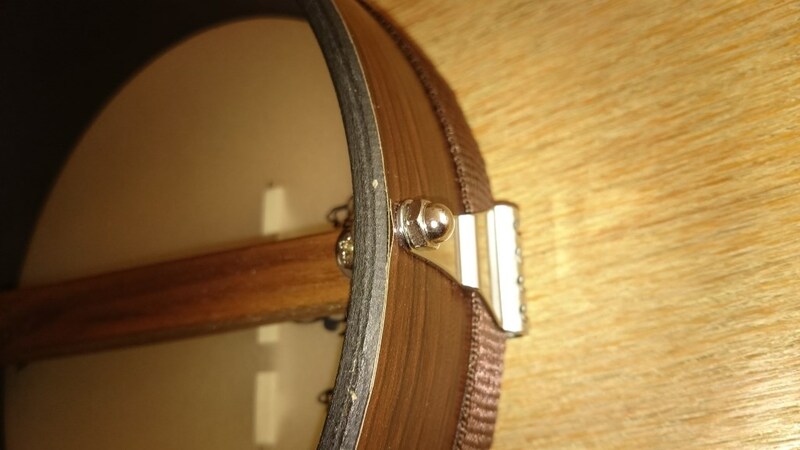 make sure the tailpiece does not touch the skin after tightening everything.